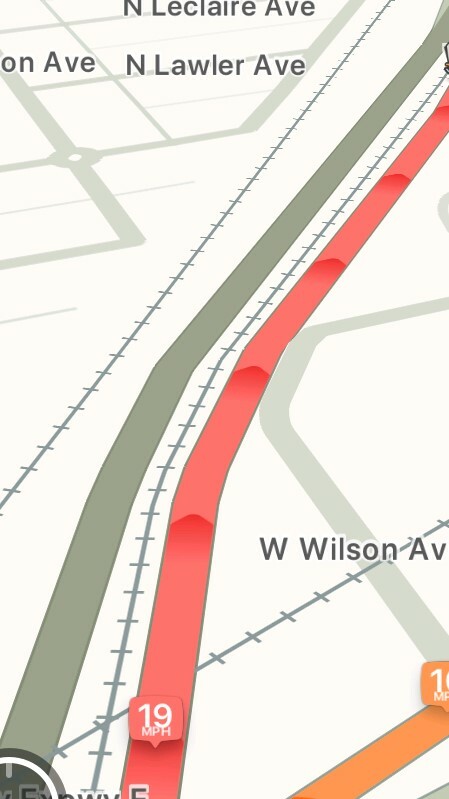 Waze, Google, and other map apps have transformed the way we drive today, providing accurate and reliable turn-by-turn guidance to get from place to place as quickly as possible. Not long ago, this intelligence didn't exist, and drivers had to make best guesses about the fastest routes by looking at green, yellow, or red lines on traffic websites. The real-time availability of traffic, construction, and accidents has enabled people to optimize their commute paths. Enterprise IT managers are under increasing pressure to drive business value and reduce cost, all against the backdrop of delivering high satisfaction to end users. Not unlike commuters stuck in rush-hour traffic, IT owners lack the time and patience to wade through volumes of data across multiple systems. They need turn-by-turn instructions to get end users from point A (a problem) to point B (the solution) as quickly as possible. The unified communications and collaboration (UC&C) category, and specifically call/voice quality, is one critical area where IT often fails to meet user needs and expectations. A well-designed UC system should enable users to hear each other within 150 milliseconds, the standard benchmark for a two-way dialogue. But the convergence of consumer constructs in the workplace (including bring-your-own-device environments, third-party applications, and unmanaged consumer Wi-Fi networks) have introduced new challenges in meeting even basic telephony requirements. As a result, the UC service manager is facing a widening surface area of components that can disrupt the user experience. A UC voice or conference call will typically host between two and 10 participants, with some large meetings involving upwards of 75 participants. Considering that thousands of calls happen each day, this creates an exponential effect on the variables of where a problem originated. Understanding the path from a problem to its most effective solution is complex because IT's view into the underlying bottlenecks is limited to the equivalent of red and green lines on a traffic map. Solving problems from basic UC reporting data is time-consuming at best and impossible at worst, and would require a full-time data analyst to constantly mine the information and generate recommended actions. Applying Waze-like analytics holistically to a UC environment can shift this dynamic, providing IT with real-time guidance and clear problem-solving actions. Adoption is always slower than technology advancement, therefore most IT teams and solutions are still in the first phase, or just entering the second. They're providing value and applying intelligence to different silos of issues, but not tapping into AI's full potential. In a survey we commissioned, Nemertes Research recently found large organizations using software that can parse UC data in an intelligent way were able to reduce their IT headcount costs by 36%. If UC service managers adjust their approaches to a Waze-like model, they can profoundly change how to navigate critical UC hotspots and achieve ongoing, consistent voice quality. As UC platforms shift from on-premises to cloud-based, these advanced analytics systems will be increasingly important for IT. Although complex UC server infrastructure will have migrated to the cloud, UC management teams will still need to monitor and remediate variable network and end-user behavior issues on a regular basis. Like drivers, IT will progress to a new stage of "awareness," no longer guessing from the lines on a map, and instead following a confirmed route from point A to point B to ensure end-user UC satisfaction. This evolution is coming, but the industry has a long way to go. Long term, the UC ecosystem will evolve and eventually provide automated remediation without IT involvement. For now, IT has a significant opportunity to improve the UC service by leveraging existing AI to improve end-user satisfaction. This level of insight and efficient troubleshooting will allow IT to free up time and resources to focus on high-value work that will move the business forward.